Want to give priority service to qualified sales leads, triage support inquiries upfront, or address visitors by name? 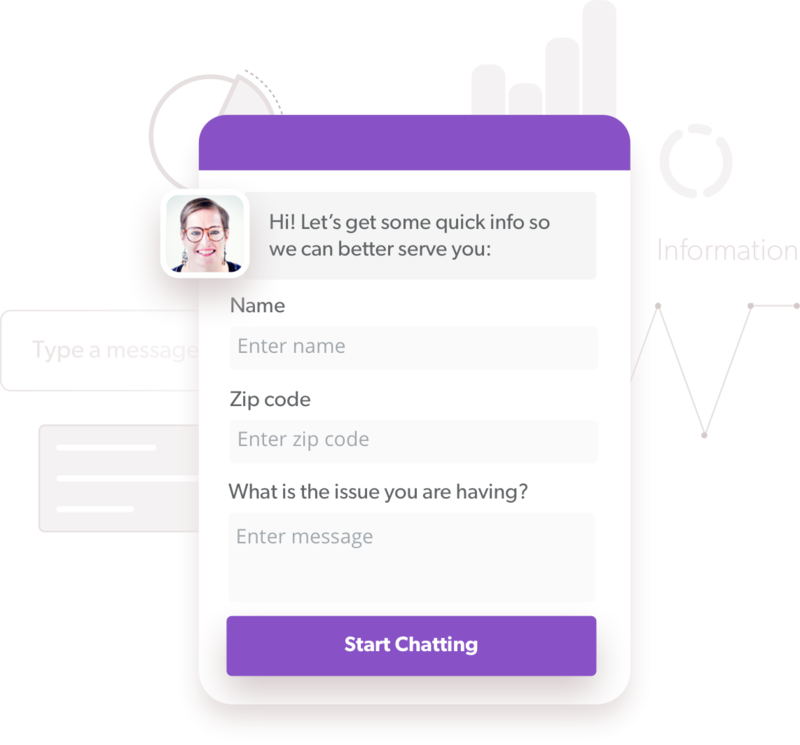 With Olark's custom chatbox forms, you can ask your visitors to share the information you need before they start a chat or send an offline email—so your team is always ready to start the conversation on the right note. Ask for basic details (such as name, location, and language) so you can provide a personal greeting and smooth chat experience. Gain insight into visitor needs and preferences, qualify leads based on metrics like company size, and collect contact details for followup. Provide faster service by gathering order details and problem summaries upfront. Add, edit, and order questions with our flexible drag-and-drop editor. Top it off with a personal welcome message and call to action, and your masterpiece is ready for prime time. Collect key data without forcing your visitors to jump through hoops. 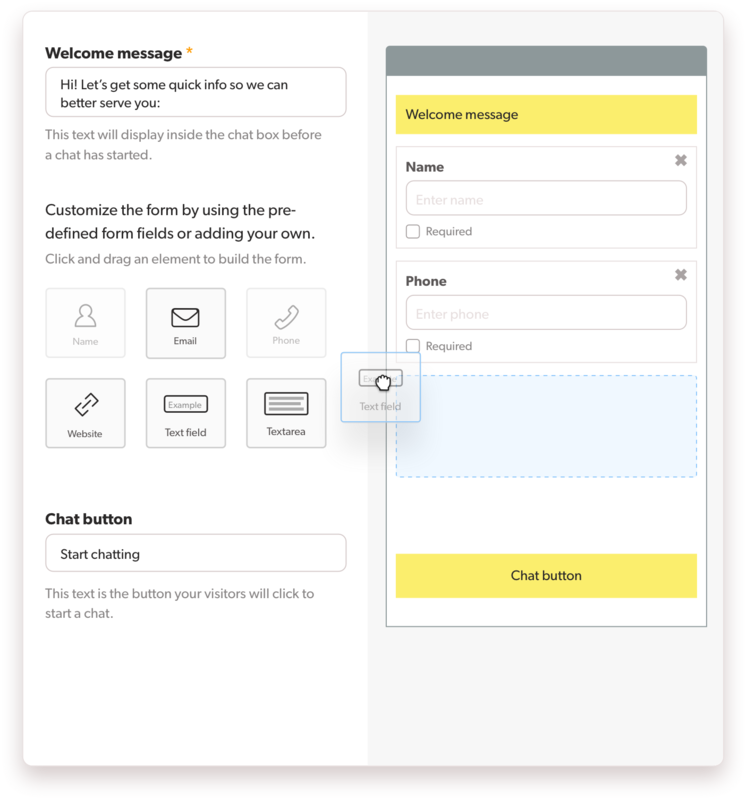 Make any or all of your form questions optional, or add automated chat rules to send a proactive message (and bypass the form) for repeat visitors or on certain pages. Form responses appear in your chat console or email client right away, and are saved in your transcript archive so you always have the information you need to confirm a trend or follow up with a visitor.